UNIGLOBE The Premiere Group is a multi-faceted entity. UNIGLOBE the Premiere Travel Group's division of Convention Planners International has been helping corporations achieve their incentive travel targets and coordinating all arrangements for the resulting travel awards since 1971. Convention Planners International specializes in detailed planning and completion of successful meetings, incentive travel and special events anywhere in the world. In 41 years of business, CPI has successfully arranged 700 incentive travel programs and over 2,000 meetings, conferences and special events. while we are recognized for our creative ideas and have received several travel awards, our best reward is being appointed to handle a client's next meeting or trip. The quality of our service is based on speed of response and attention to detail. We recognize that to be successful as a company, we must be successful in every aspect of our work. We succeed because we never lose sight of the fact that we are only as good as our last event. Let us show you how we can generate excitement for your next meeting or incentive trip. "Good ideas don't have to be expensive." Columbus Travel, a division of UNIGLOBE Enterprise Travel Limited offers unique holiday experiences for our discerning clients. Our specialty is Europe. Experience a wealth of history and culture from medieval civilizations to modern day wonders. From a cruise on the Danube to a Spa in Slovenia, to a hike in the Swiss Alps we will tailor the best travel options for you. The changing landscape as you tour through European cities offer breath taking views to behold. Then of course there are modern cities like Milan and Paris that are leaders in fashion and art. Apart from Europe our clients have also been travelling to the Caribbean, South America and Hawaii. Would you like to float along the great wide oceans for the world? We offer great Cruises as well as family vacations globally. Columbus Travel's specialists speak a number of languages which include Hungarian, Serbian and Romanian. Our passion for the destinations we sell and the innovative services we provide make us experts in our field. Columbus Travel has been in business for over 50 years and has been providing vacation memories for thousands of satisfied customers. The Columbus team will be pleased to design your next holiday! DesiTravel the South Asia division of UNIGLOBE The Premiere Travel Group specializing in international air travel and tours, has offices in Ottawa and Toronto. We serve a broad cross-section of personal and corporate clientele. Our international travel specialists are fluent in nearly 20 languages and have personally travelled to many of the important DesiTravel destinations. To exceed your expectations is the goal of every DesiTravel expert. Whether your itinerary is complex or you need a quick ticket at the last minute, our team will leave no option unexplored. You will be advised of the best possible routings and fares. When your itinerary is confirmed you will be provided all relevant information on passports, visas, inoculations and destination issues of which you should be aware. The clients of DesiTravel and UNIGLOBE The Premiere Travel Group not only enjoy the benefits of our preferred airline agreements and special fares, but also international support should emergencies arise en route. As well, we can provide these same benefits to members of your family or organizations based in South Asia and travelling to Canada and the United States. Heart of Europe Holidays, a division of UNIGLOBE The Premiere Travel Group, offers unique and authentic holiday experiences to locations in Central Europe . Our passion for the destinations we sell and the innovative services we provide make us experts in our field. For almost three decades Heart of Europe Holidays has been providing vacation planning for thousands of satisfied customers. UNIGLOBE The Premiere Travel Group is the Associate Sales and Service office for HOLIDAY MERCHANTS, which is headquartered in New Delhi, India. Formed in 2009, Holiday Merchants offers a B2B platform that provides fully customized unique experiences to individuals or a group. The areas of specialty are worldwide with an emphasis on Europe, Far East, Australia, New Zealand, Africa, Middle East, South America and India. Holiday Merchants has a new online booking portal for travel agents with competitive pricing, where hotels, transfers, excursions city tours, events or sightseeing can be priced in multiple currencies and languages. The Holiday Merchants website offers itineraries for many countries that can assist travel planners to plan and research efficiently. A log in ID can be provided to individual travel agents upon request. This innovative tool can be a travel agent’s best friend! Millenium Travel, a division of UNIGLOBE Enterprise Travel Limited, offers a self-managed, centralized travel program with no transactional fees through The Millenium Travel Program. The Millenium Travel Program has been created for organizations and travellers who; prefer Air Canada for air travel, book travel online themselves, do not need the full suite of products and services traditionally offered with travel management programs, want access to discounts and lowest available fares, want access to known and popular vendors, want to avoid service fees and mark ups, and have limited agency intervention. The program offers a simple and effective way for organizations to have a customized Concur Travel online booking system that provides the travel services and products travellers want, popular and frequently used vendors, while maximizing the use of available savings and discounts and having minimum impact on the current booking and travel processes in place. UNIGLOBE The Premiere Travel Group's division of Milette-Keller & Associates Inc. Conference Services offers a broad range of conference services. Services and associated pricing can be negotiated on an event specific basis as requested, depending on the size and scope of the conference. 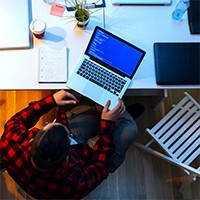 Millette-Keller & Associates are conference logistics experts who will work with your organization to determine the best fit between your needs and our services, whether it is total project management or select management of a few service modules. This individualized service structure means that you only ever pay for the services you need and receive - not a penny more. 'We want Premiere Cruises to be your number one choice when you're looking for a cruise vacation'. On June 4, 2014 UNIGLOBE Enterprise Travel Limited launched a new brand - Premiere Cruises. Premiere Cruises represents the world's luxury cruise lines, and unique river cruises which cater specifically to the unique needs of our discerning guests.We glide through oceans, sail through the rivers and seas, and every stop makes memories of a life time in different parts of the world. We offer all inclusive experiences as well as luxury sailings with the personal touch of professional concierges. Cruising takes dining experiences to a whole new level. You can select from gourmet restaurants to casual dining. You can have on board chefs create the meals of your choice, and even take culinary lessons on board if that is your interest. Family cruising is a great option for a holiday, as there are activities for every age group and interest. I'm bored is something you will never hear from your children on a cruise holiday. Our agency's skilled cruise professionals will look after you from start to finish and make air, sea and land arrangements for you. They will offer you a selection of pre and post tour opportunities so you can enjoy points of interest when the ship is docked. Set sail with Premiere Cruises and make your dreams come true! Rendez-vous Canada Educational Tours (RVC) are affordable, curriculum-based trips to select Canadian destinations. Developed as hands-on cultural experiences for groups of all ages, RVC trips are educational, fun and affordable. 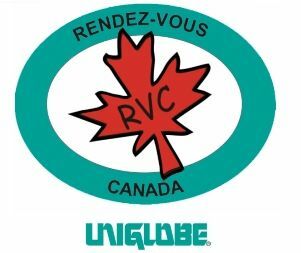 RVC specializes in cultural visits to a variety of Canadian destinations and operates as a separate division within UNIGLOBE Premiere Travel Planners Inc. Since RVC tours were introduced more than two decades ago, close to 35,000 participants have enjoyed a personal Rendez-vous with Canada. Like them, you can experience the difference made by the tradition of excellence created by our professional and knowledgeable staff, trained guides and top quality trusted suppliers. thetravelcompany.ca a division of UNIGLOBE Enterprise Travel Ltd has been servicing the complex needs for discerning leisure travellers from offices in the Lawrence Park area of Toronto since 2002. Now located in UNIGLOBE Enterprise's Summerhill-Rosedale office in Toronto at 1221 Yonge Street, we look forward to continue working with our clients to making their travel dreams a reality. Our telephone number 416 489 8855 remains unchanged. thetravelcompany.ca’s approach to planning travel is both an art and a professional skill and this has resulted in a loyal and growing client base. 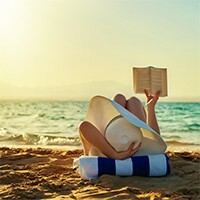 Our travel consultants offer personal knowledge, sound advice, and global connections which result in designing memorable, luxury travel experiences. Solid supplier relationships have been the back bone of the business over the years and through these relationships we can offer exclusive savings and perks that are not available in the marketplace. Our travel advisors are well-travelled and are ready and willing to offer good advice and share their experiences and interesting travel stories. There is no trip we cannot help you with! Our clients can rely on us and be assured that their travel investments are as important to us as it is to them.